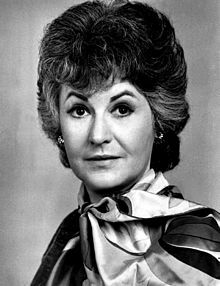 Join us to watch one of the most iconic episode of the 1970's U.S. TV series: Maude. The sitcom deals with the misadventures of Maude Finley (Beatrice Arthur), a 40- something suburban liberal housewife who desperately tries to show off her progressive positions. But the fate has always a banana skin in stock for her and her projects. No worry, she'll try harder next time. In addition to the timeless vaudeville humor of the show, the sitcom is interesting as a timecapsule of the 1970's. Set up between the swinging years' social upheavals (civil right movement, Woodstock...) and the Reagan era's back to basics, we can observe the heated debates about legalization of Marijuana or abortion, the black or gay people issues, the cost of health or the widening use of psychology and tranquilizers (besides coktails drinks) to sooth daily tensions. And before Maude, there were ...Lady Godiva, Joan of Arc, Isodora Duncan and Betsy Ross,, but do you now who they were?